Those of you who were thinking that the nice thing about being in Brooklyn during the last week of August instead of at the beach is that you can park your car any place you freakin' want, think again. The fun people at Law & Order have something in store for you tomorrow (8/30) on a three-block stretch of Prospect Park West between Sixth and Ninth Streets. 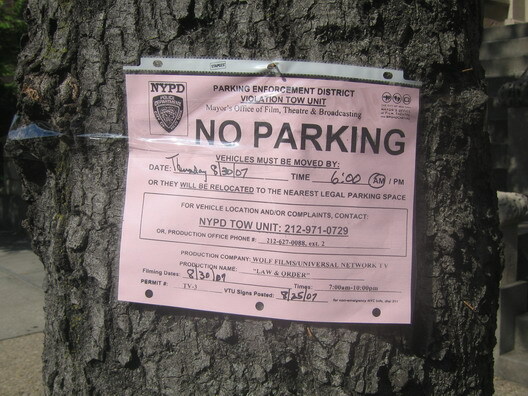 The upside is that you get to watch a film shoot, if you're not too busy trying to figure out where your car's been towed in the interest of, you know, law and order.